I am currently a research scientist at Language Information Access Technology(LIAT) team , RIKEN AIP under supervision of Prof. Satoshi Sekine. Before that, I was a postdoctoral fellow at the Graduate School of Informatics at Kyoto University, where as a member of the Ishii lab, I work with Prof. Shin Ishii and Dr. Shigeyuki Oba on the use of active learning in visual tracking and scene understanding, funded by the project of strategic advancement of multi-purpose ultra-human robot and artificial intelligence technologies (SAMURAI) from the New Energy and Industrial Technology Development Organization (NEDO) and Post-Kei project. I am also collaborating with Prof. Takahashi Lab in RIKEN QBiC on Exploratory Challenges of Post-K project. I also collaborate with Human-AI Communication team of RIKEN AIP under the supervision of Prof. Toyoaki Nishida. I finished my Ph.D. under supervision of Prof. Shin Ishii in the same lab, where I worked on occlusion-aware visual tracking, 3D object reconstructionm, and imitation learning. In particular, my Ph.D. dissertation was about particle filter-based tracking to handle persistent and complex occlusions by proposing novel occlusion-aware appearance model and context-aware motion model in this framework. Bio: Kourosh Meshgi received his B.Sc. and M.Sc. 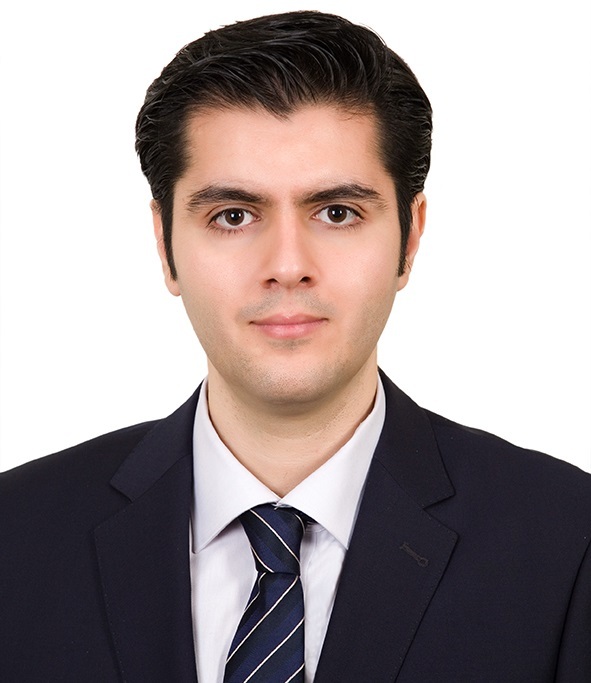 in Hardware Engineering (2008) and Artificial Intelligence (2010) respectively, from Tehran Polytechnic and his Ph.D. in Informatics in 2015 from Kyoto University. He is currently a research scientist at RIKEN AIP and a guest researcher at Kyoto University. His research interests include machine learning, natural language processing, computer vision, robotics, and computational linguistics. Dr. Meshgi's current research focuses on interpreting/explaining deep learning models on NLP tasks. 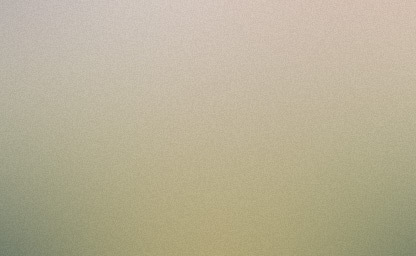 Goal: Bringing my understanding of Human Brain Perception, Machine Perception, Human-AI Communication and Computer-Brain Interfaces to the edge-of-knowledge so I can bring this edge further, invent new devices to help humanity and make automated systems and robots “smarter”. K. Meshgi, M. S. Mirzaei, S. Oba, “Long and Short Memory Balancing in Visual Co-Tracking using Q-Learning,” in Proc. of ICIP’19, IEEE, Taipei, Taiwan, Sep 2019. K. Meshgi, M. S. Mirzaei, S. Oba, “Information-Maximizing Sampling to Promote Tracking-by-Detection,” in Proc. 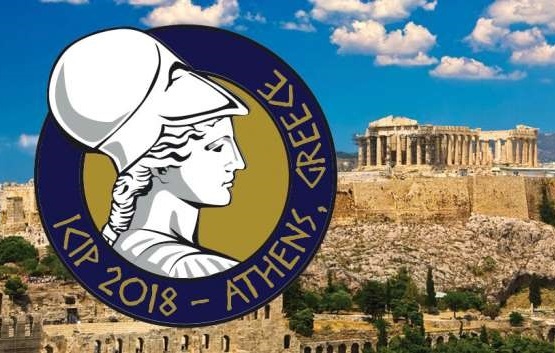 of ICIP’18, IEEE, Athens, Greece, Oct 2018. K. Meshgi, S. Oba, S. Ishii, “Efficient Diverse Ensemble for Discriminative Co-Tracking,” in Proc. 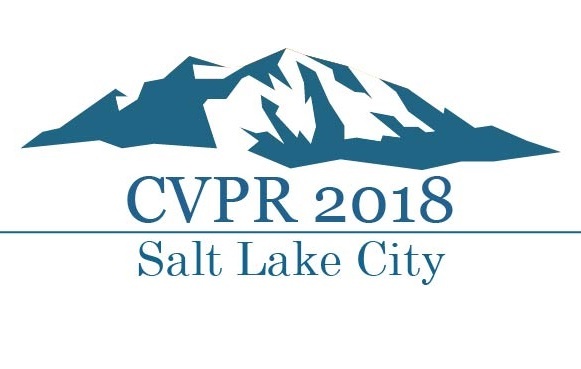 of CVPR’18, IEEE, Salt Lake City, USA, Jun 2018. K. Meshgi and S. Oba “Active Collaboration of Classifiers for Visual Tracking,” in G. Anbarjafari and S. Escalera (Eds) Human-Robot Interaction - Theory and Application, InTech Publication, ISBN 978-953-51-5611-6, 2018. K. Meshgi, S.i. Maeda, S. Oba, S. Ishii, “Constructing a Meta-Tracker using Dropout to Imitate the Behavior of an Arbitrary Black-box Tracker,” Journal of Neural Networks vol. 87, pp. 132-148, Elsevier, 2017. K. Meshgi, M. S. Mirzaei, S. Oba, S. Ishii, “Active Collaborative Ensemble Tracking,” in Proc. of AVSS’17, IEEE, Lecce, Italy, Aug 2017. K. Meshgi, S. Oba, S. Ishii, “Adversarial Sampling to Robustify Active Discriminative Co-Tracking,” in Proc. of MIRU’17, Hiroshima, Japan, Aug 2017. 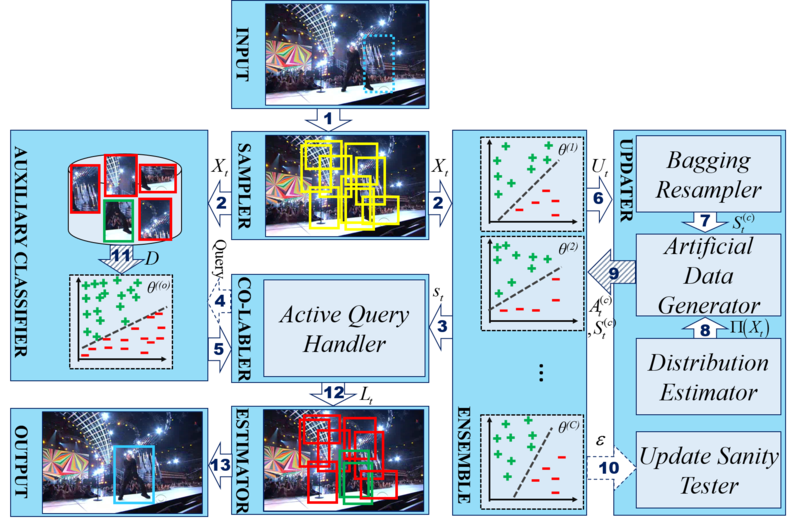 K. Meshgi, S. Oba, S. Ishii, “Efficient Version-Space Reduction for Visual Tracking,” in Proc. of CRV’17, IEEE, Vancouver, Canada, May 2017. 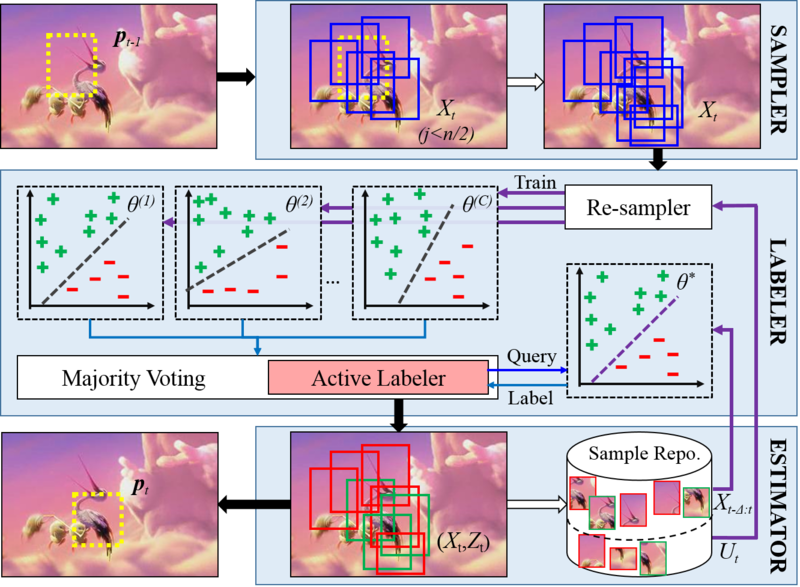 K. Meshgi, S. Oba, S. Ishii, “Active Discriminative Tracking using Collective Memory,” in Proc. of MVA’17, IEEE, Tokyo, Japan, May 2017. K. Meshgi, S. Oba, and S. Ishii, “Robust Discriminative Tracking via Query-by-Bagging,” in Proc. of AVSS’16, Colorado Springs, USA, Aug 2016. K. Meshgi, S.i. Maeda, S. Oba, H. Skibbe, Y.Z. Li, S. Ishii, “Occlusion Aware Particle Filter Tracker to Handle Complex and Persistent Occlusions,” Journal of Computer Vision and Image Understanding (CVIU), vol. 150, pp. 81-94, Elsevier 2016. K. Meshgi, S.i. 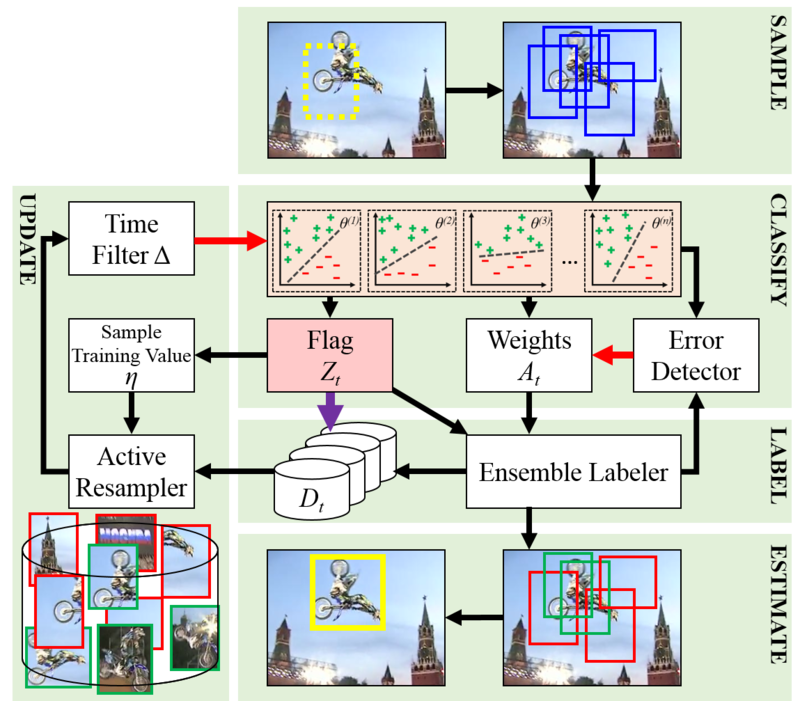 Maeda, S. Oba, and S. Ishii, “Data-driven Probabilistic Occlusion Mask to Promote Visual Tracking,” in Proc. of CRV’16, IEEE, British Columbia, Canada, Jun 2016. K. Meshgi, S. Ishii, “The State-of-the-Art in Handling Occlusions for Visual Object Tracking,” IEICE Transactions on Information and Systems, vol. E98-D, no. 7, pp. 1260-1274, IEICE 2015. K. Meshgi, and S. Ishii, “Expanding Histogram of Colors with Gridding to Improve Tracking Accuracy,” in Proc. of MVA’15, IEEE, Tokyo, Japan, May 2015. 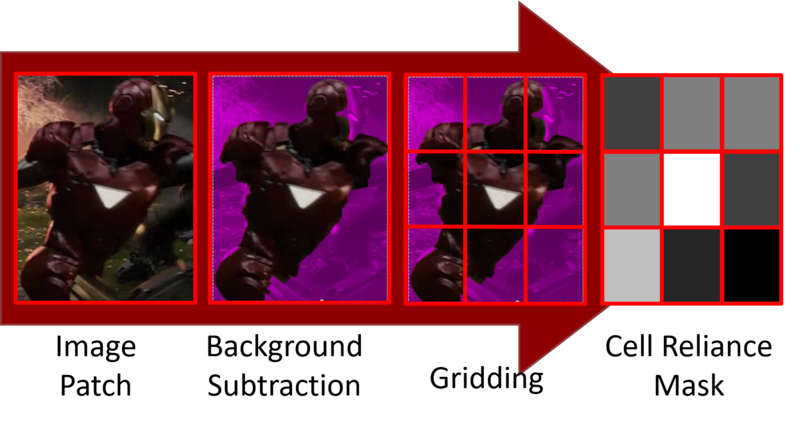 K. Meshgi, S. Maeda, S. Oba, S. Ishii, “Fusion of Multiple Cues from Color and Depth Domains using Occlusion Aware Bayesian Tracker, ” in IEICE Tech. Rep., vol. 113, no. 500, NC2014-22, pp. 127-132, Mar 2014. K. Meshgi, Y.Z. 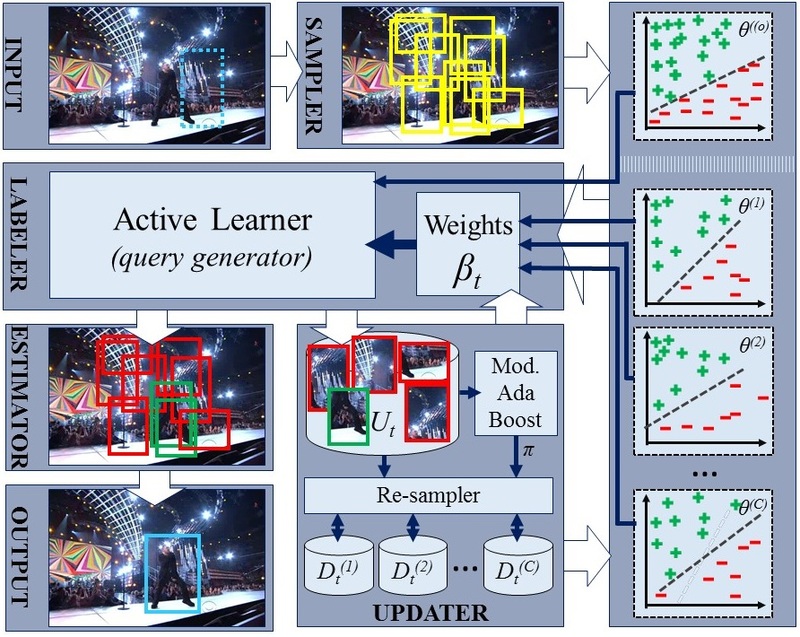 Li, S. Oba, S. Maeda, S. Ishii, “Enhancing Probabilistic Appearance-Based Object Tracking with Depth Information: Object Tracking under Occlusion,” in IEICE Tech. Rep., vol. 113, no. 197, IBISML2013-22, pp. 85-91, Sep 2013. K. Meshgi, “Particle Filter-based Tracking to Handle Persistent and Complex Occlusions and Imitate Arbitrary Black-box Trackers,” Ph.D. Dissertation, Kyoto University, Sep 2015. M. S. Mirzaei, K. Meshgi, “Toward Adaptive Partial and Synchronized Caption to Facilitate L2 Listening,” in Proc. of FLEAT VII, Tokyo, Japan, Aug 2019. K. Meshgi, M. S. Mirzaei, “A comprehensive word difficulty index for L2 listening,” in Proc. of ExLing’18, Paris, France, Aug 2018. K. Meshgi, M. S. Mirzaei, “A Data-driven Approach to Generate Partial and Synchronized Caption for Second Language Listeners,” in Proc. 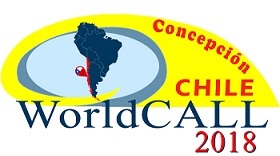 of WorldCALL’18, Concepcion, Chile, Nov 2018. M. S. Mirzaei, K. Meshgi, “Automatic Scaffolding for L2 Listeners by Leveraging Natural Language Processing,” in Proc. 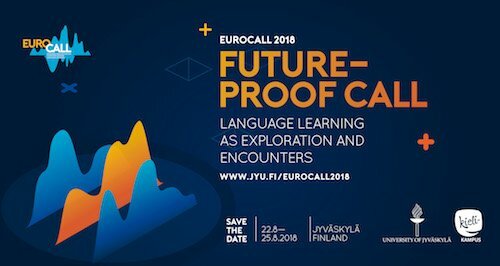 of EuroCALL’18, Jyväskylä, Finland, Aug 2018. 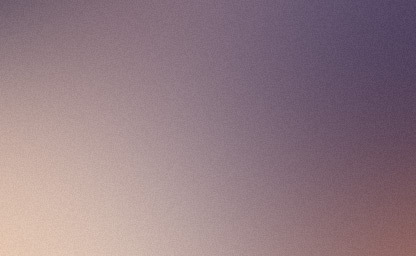 M. S. Mirzaei, K. Meshgi, T. Kawahara, “Exploiting Automatic Speech Recognition Errors to Enhance Partial and Synchronized Caption for Facilitating Second Language Listening,” Computer Speech and Language Journal, vol. 49, pp. 17-36, Elsevier 2018. M. S. Mirzaei, K. Meshgi, Y. Akita, T. Kawahara, “Partial and synchronized captioning: A new tool to assist learners in developing second language listening skill,” ReCALL Journal, vol. 29(2), pp. 178-199, Cambridge University Press 2017. M. S. Mirzaei, K. Meshgi, T. Kawahara, “Detecting listening difficulty for second language learners using Automatic Speech Recognition errors,” in Proc. of SLaTE’17, Stockholm, Sweden, Aug 2017. M. S. Mirzaei, K. Meshgi, T. Kawahara, “Listening Difficulty Detection to Foster Second Language Listening with Partial and Synchronized Caption,” in Proc. of EuroCALL’17, Southampton, England, Aug 2017. M. S. Mirzaei, K. Meshgi, T. Kawahara, “Leveraging automatic speech recognition errors to detect challenging speech segments in TED talks,” in Proc. of EuroCALL’16, Limassol, Cyprus, Aug 2016. M. S. Mirzaei, K. Meshgi, T. Kawahara, “Automatic speech recognition errors as a predictor of L2 listening difficulties,” in Proc. of Coling’16 (CL4LC Workshop), Osaka, Japan, Nov 2016. M. S. Mirzaei, K. Meshgi, Y. Akita, T. Kawahara, “Errors in Automatic Speech Recognition versus Difficulties in Second Language Listening, ” in Proc. of EuroCALL’15, Padova, Italy, Aug 2015. S. Ebrahimi, K. Meshgi, S. Khadivi, S.E. Shiri Ahmad Abady, “Meta-level Statistical Machine Translation," in Proc. of 6th Int’l Joint Conf. on NLP (IJCNLP'13), Nagoya, Japan, Oct 2013. S. MasoumZadeh, K. Meshgi, S. Shiry, G. Taghizadeh, “FQL-RED: An Adaptive Scalable Schema for Active Queue Management,” Int'l. J. of Network Mgmt (IJNM), vol. 21, pp.157-167 Wiley, 2011. S. MasoumZadeh, G. Taghizadeh, K. Meshgi, S. Shiry, “Deep Blue: A Fuzzy Q-Learning Enhanced Active Queue Management Scheme,” in Proc. of Int'l. Conf. on Adaptive and Intelligent Systems (ICAIS'09), Klagenfurt, Austria, 2009. S. MasoumZadeh, K. Meshgi, S. Shiry, “Adaptive Mutation in Evolution Strategy using Fuzzy Q-Learning,” in Proc. of 13th Iran Computer Association Conf. (ICCSC2008), Kish, Iran, 2008. K. Meshgi, “Brain Inspired Face Detection,” M.Sc. Dissertation, Tehran PolyTechnic, Oct 2010. S. Soleimanpour, S. Shiry, K. Meshgi, “Sensor Fusion in Robot Localization using DS-Evidence Theory with Conflict Detection using Mahalanobis Distance,” Proc. of 7th IEEE Int'l. Conf. on Cybernetic Intelligent Systems (CIS'2008), United Kingdom, 2008. Nemesis 2010 Team Description, RobuCup 2010. 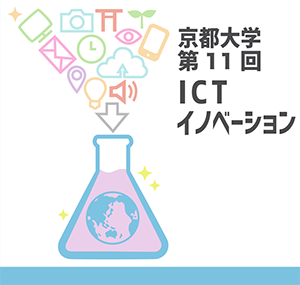 Won ICT Innovation Award for PSC, Kyoto University, 2017. Awarded as Japan Ministry of Economy, Trade and Industry Prize for Winning NEDO Project, as a part of R&D Team, 3D MEDiA Co. Ltd., 2015. Received Japan Government Monbokagakusho (MEXT) Scholarship from the Ministry of Education, Culture, Sports, Science and Technology, Government of Japan, 2011-2014. Achieved 3rd Place of Int'l. RoboCup 2005 Competitions, Soccer Coach Simulation League, Member of Kasra Team, Osaka, Japan, 2005. Editorial Member of Journal of Robotics Engineering and Automation Technology, Gavin Publishers, USA, 2017-present. Editorial Member of Progress in Human Computer Interaction Journal, Whioce Publishing Pte. 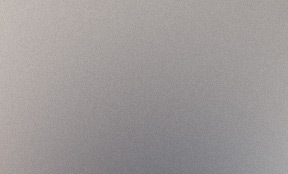 Ltd., 2018-present. Served as a reviewer for ACM Computing Surveys (CSUR), Journal of Neural Computing and Applications (NCAA), IEEE Transactions on Multimedia (TMM), MDPI Sensors Journal, IEICE Tran. on Information and Systems, Journal of Computer and Communications (JCC), ICAIR’16, ICCTS’17 and ICSAI’17, etc. Please visit my Publons page for more details. Organizing Committee of Int’l Conference on Systems and Informatics, ICSAI’17, Hangzhou, China, 2017. Organizing Committee of Int’l Conference on Computing Intelligence and Information System, CIIS’17, Nanjing, China, 2017. Organizing Committee of Int’l Conference on Computer Science and Technology, ICCST’17, Guilin, China, 2017. Organizing Committee of Intl. Computer Society of Iran Computer Conference, CSICC'09, Tehran, Iran, 2009. Organizing Committee of 1st and 2nd Conf. of Information & Knowledge Technology, IKT 2003 & IKT 2005, Tehran, Iran, 2003-2005. 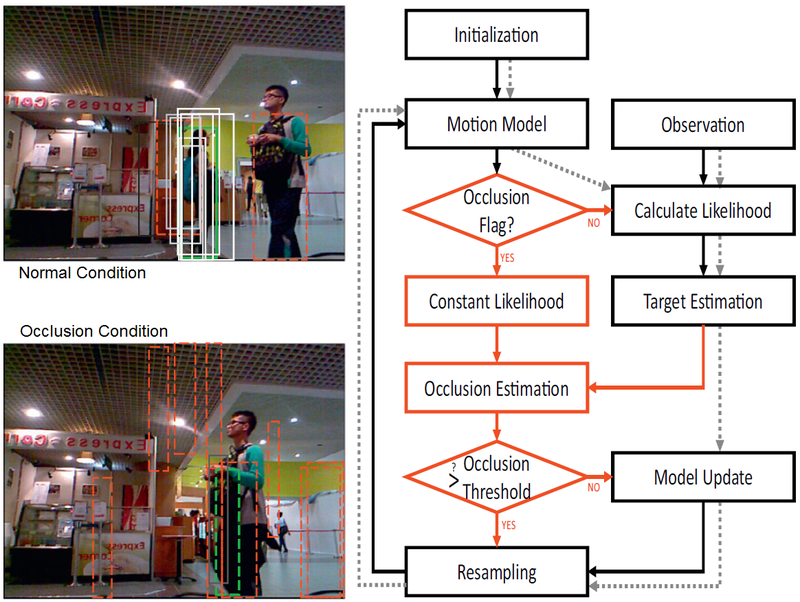 A report on trending literature of occlusion handling in online visual tracking including solutions, datasets, benchmarks, and criteria. 2019 Apr 04: Joined Language Information Access Technology (LIAT) team of RIKEN AIP as a Research Scientist. 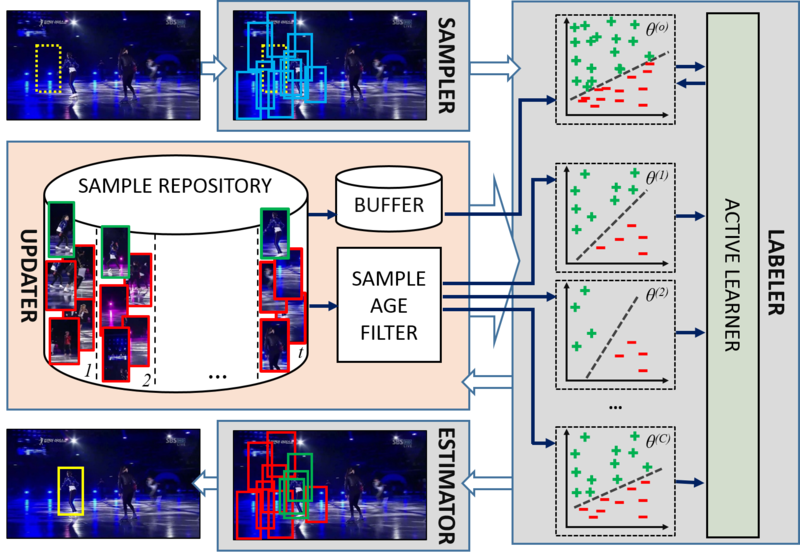 2018 May 04: Our paper "Information-Maximizing Sampling to Promote Tracking-by-Detection" has been accepted in ICIP’2018. 2018 Feb 18: Our paper "Efficient Diverse Ensemble for Discriminative Co-Tracking" has been accepted in CVPR’2018. 2018 Apr 15: Our paper "A Data-driven Approach to Generate Partial and Synchronized Caption for Second Language Listeners" has been accepted in WorldCALL’2018. 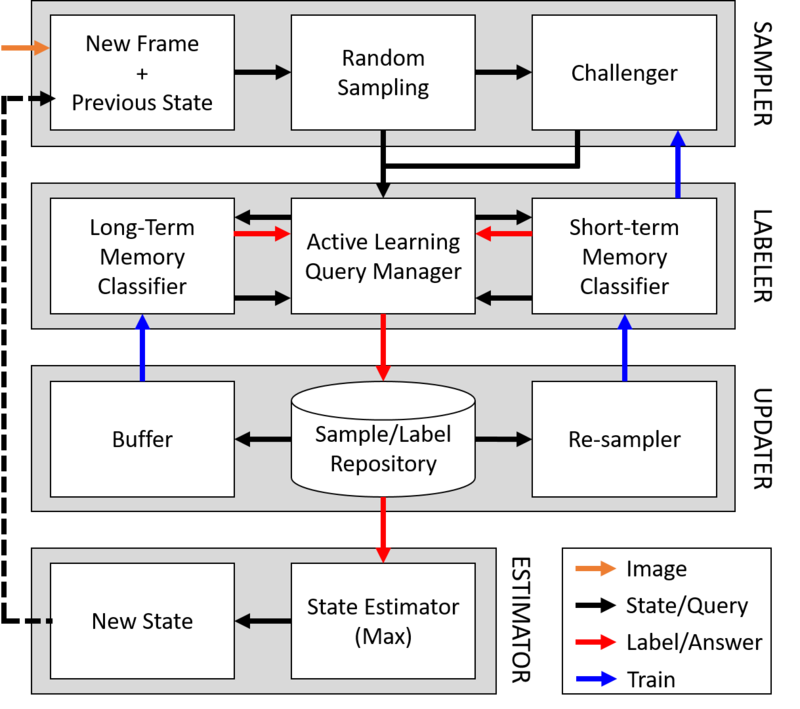 2018 Apr 06: Our paper "Automatic Scaffolding for L2 Listeners by Leveraging Natural Language Processing" has been accepted in EuroCALL’2018. 2017 Nov 22: Our paper "Exploiting Automatic Speech Recognition Errors to Enhance Partial and Synchronized Caption for Facilitating Second Language Listening" is now available online at Computer Speech & Language journal. 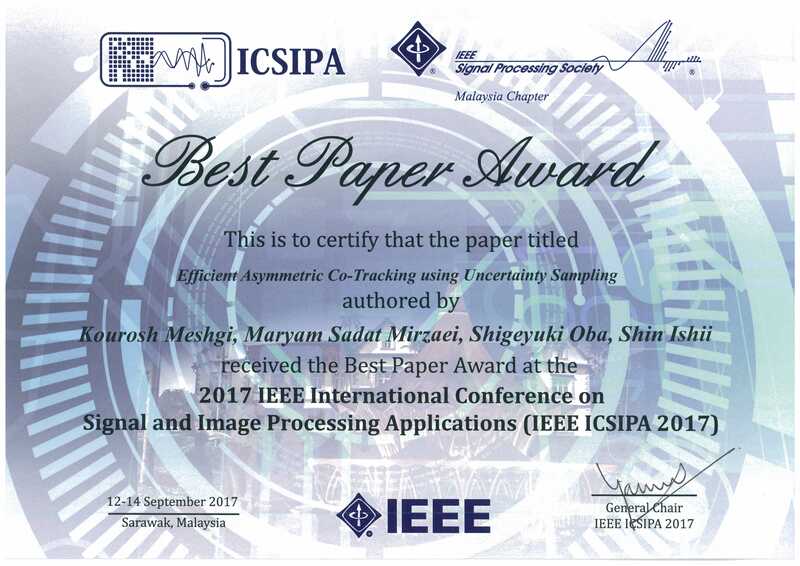 2017 Sep 14: Won best paper award of IEEE ICSIPA'17. 2017 Feb 23: Won Kyoto University ICT Innovation Award for PSC Project. © Page maintained by Kourosh Meshgi. Last updated on Apr 4, 2019.